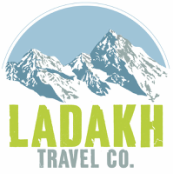 This tour combines the best of our favourite cities on a whirlwind tour through Northern India. This is a great introductory trip for anyone wanting to visit India for the first time as it provides a great overview of the diverse regions and beliefs in places you may already have on your radar. Following your arrival to Delhi, our tour representative will be waiting to collect you and transfer you to our prearranged Delhi hotel accommodation (near the airport). After a leisurely breakfast in the hotel, our Delhi based driver will transfer you to the domestic airport in time for your departure flight to Amritsar. Following you arrival to Amritsar, our Punjab based driver will be waiting to collect you from Amritsar airport and then he will transfer you to our prearranged hotel accommodation where you can take rest. In the late afternoon, our driver will collect you and transfer you to ‘Sadda Pind’ which is a touristy type complex, that prides itself for showcasing all things traditional Rajasthani culture. Enjoy a traditional Rajasthani meal and cultural entertainment before returning back to the hotel for overnight stay. Wake as per your leisure and enjoy breakfast in the hotel before our driver collects you to the famous ‘Golden Temple’ which is the most important Sikh shrine (also called Mecca for the Sikhs) where you can walk around and learn about the spiritual and historical traditions of the Sikh followers. Explore the temple kitchen which provides thousands of free meals - cooked by volunteers - and then around 3pm, our driver will transfer you to the India/Pakistan border known as ‘the Wagah border’ where you can enjoy the popular ‘Beating the Retreat (flag) Ceremony’. As per your interest, our driver can return you straight back to the hotel, or you can return to the temple to watch the evening lights reflect upon the surrounding holy lake. Make yur way back to the hotel in time for dinner and overnight stay. After a lazy breakfast in the hotel our driver will collect you for a few hours of souvenir shopping where you can explore the textile market and local handicrafts, before making your way to Amritsar station for an experience on the famous Indian Rail network. Arrive to Delhi railway station where our driver will be waiting to transfer you directly to the hotel for overnight stay. After an early breakfast in the hotel your driver will meet you and transfer you to Rishikesh – the famous Hindu destination which is located on the banks of the popular River Ganges. Also known as the ‘yoga capital of the world’, Rishikesh attracts thousands of devotees, yogis and adventurers from all over India and abroad. Rishikesh is a great place to relax, unwind and enjoy a bit of luxury treatment in our pre-booked spa resort. Over the next few days you can explore Rishikesh as per your own interest – keeping it as busy or relaxed as you like. Overnight stay in Rishikesh. Today our driver will collect you from the hotel and transfer you to the local tourist places including Ram Jhula and Laxman Jhula. You can also take a short drive to the popular ashram where The Beatles penned some of their famous albums and in the evening you will make your way to a viewing point on the Ganges river where you can watch an interesting Hindu prayer ceremony at the Triveni Ghat (overlooking the Holy Ganges) before returning to our prearranged accommodation for overnight stay. Today you can enjoy a full day of sightseeing as you make your way to the ancient city of Haridwar which is an important pilgrimage site for Hindu followers - and also a place where the sacred River Ganges exits the foothills of the Himalayas. Enjoy the daily rituals at the sacred ghats (bathing steps) and stick around for the evening ‘Ganga Aarti (river worshipping ceremony) in which hundreds of tiny flickering lamps are floated off the steps during the prayer ceremony. Return to Rishikesh for overnight stay. As per your preferred departure time, our driver will collect you and transfer you to Delhi. Once in Delhi you can retire in the hotel and make use of the hotel swimming pool/ spa as desired. As per your preferred departure time, our driver will be waiting to collect you and transfer you to Jaipur – the famed ‘Pink City’. Following your arrival, you can visit the famous ‘Hawa Mahal’ (Palace of Winds) where you can watch the sunset & peruse the local markets before returning to our prearranged accommodation in time for dinner and overnight stay. Enjoy a leisurely breakfast in the hotel before our driver and a local tour guide will collects you for a half day of Jaipur city sightseeing commencing at the notorious ‘Pink City’. You can start with a visit to Amber Fort and enjoy an optional decorated Elephant ride into the complex before making your way to the City Palace which is a beautiful blend of Rajasthani and Mughal architecture. (The City Palace covers one-seventh of the whole area in Jaipur and has a museum with an exclusive collection of Rajasthani costumes, miniature paintings, carpets and royal paraphernalia.) If interest permits, you can also visit the famous local markets where you can purchase a wide array of souvenirs and handicrafts. Return to the hotel in the evening in time for dinner and overnight stay. A very early start, our driver will collect you from the hotel and transfer you directly to Jaipur airport where you can check in and take breakfast in the waiting area. Following your arrival to Varanasi, our local driver will be waiting to collect you from the airport and transfer you to the prearranged guest house accommodation which is conveniently located overlooking the ghats on the river Ganges so you can watch all the action of the famous river from your in-house balcony. Overnight stay in Varanasi. Our local guide will meet you at the guest house and transfer you to Sarnath which is the place that Gautama Buddha gave his first sermon. Explore the grounds and the nearby Buddhist monuments before making your way back to the River Ganges where you can enjoy a visit Manikanika Ghat which is the most auspicious place for a Hindu to be cremated. 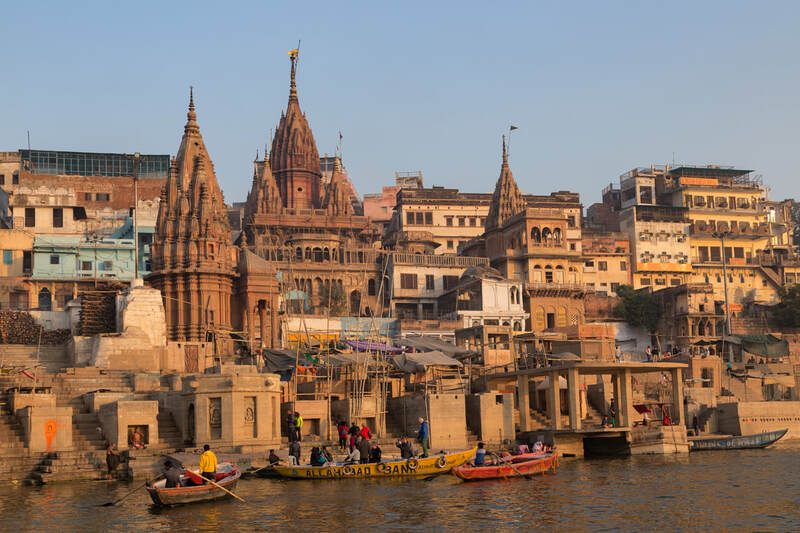 As the sun begins to set, our guide will arrange a boat ride down the river ganges and you can watch the evening prayer ceremony from the water before returning to the guest house for overnight stay. The final day of the trip. Today you can make your way back to Delhi (or fly out of Varanasi) or you can enjoy one final day as per your leisure. Relax in the guest house or take in the city sights as per your own interest.